Accurate stamped steel frame. Includes correct solenoid screw and welded blind nut. Black finish. 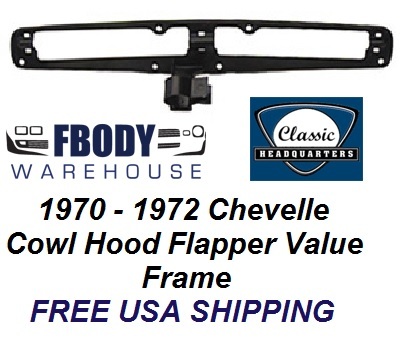 For use on 1970 1971 1972 Chevelle models with cowl induction. This is a new replacement accurately stamped steel frame. Includes correct solenoid screw and welded blind nut.